Comfort Zone Skin Regimen Longevity Facial at Carlton Skin salons and selected salons and spas. Italian skincare brand, Comfort Zone has launched a new range into their stable. 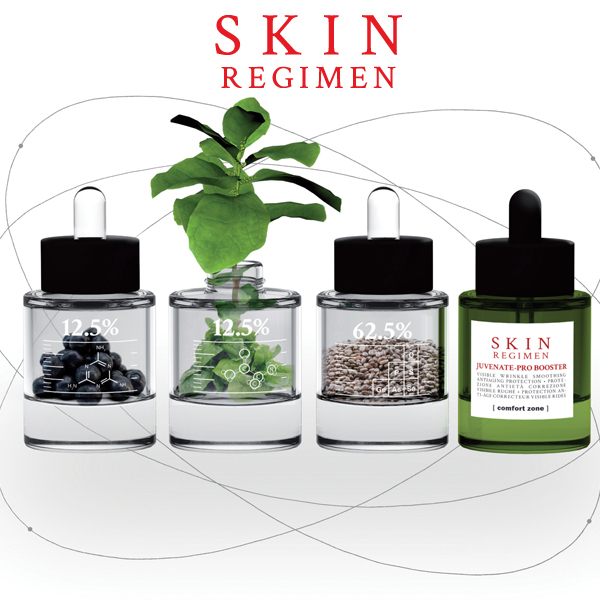 Skin Regimen is an holistic approach to skin health. Instead of the usual creams and potions, Skin Regimen is more of a way of life. The regime was created by a team of doctor and scientists to help you achieve your best skin possible through a combination of products, supplements and life style recommendations. The home care range consists of 6 products and Omega 3+ supplements. The products are designed to correct and protect the skin while fighting the signs of ageing. When I heard that the facial takes just 30 minutes and includes only 3 steps, I was very excited. Unlike many people, I don’t see facials as relaxation; I see them as a necessity. I don’t want cream slapped onto my face for an hour and a half when I could have done it at home, and in less time. I want my skin to be industrially cleaned and I want to be able to see a difference immediately. Thankfully, the facial delivered just what I wanted: results and in a short period of time. Your skin is cleansed first with the Duo Cleanser, a cleaner/toner in one. The texture feels quite oily, but it cleans like mad, and doesn’t leave any residue on the skin. The middle step is the application of a very mild fruit acid peel. I know, I know, peels are the devil, but this one is incredibly mild. My skin barely even went pink, and normally it reacts if your look at it. This is left on for 5 – 10 minutes so that it can chew away any dead cells (yum). Once this is rinsed off, a serum and moisturiser best suited to your skin type are applied, as well as sun protection. I left the salon 33 minutes after I walked in, and my skin looked like I’d been there for four times longer. Two weeks later and my skin still looks radiant and plump. Connect with the brand on Twitter and Facebook. Hi, are there any stockists/suppliers in Cape Town?